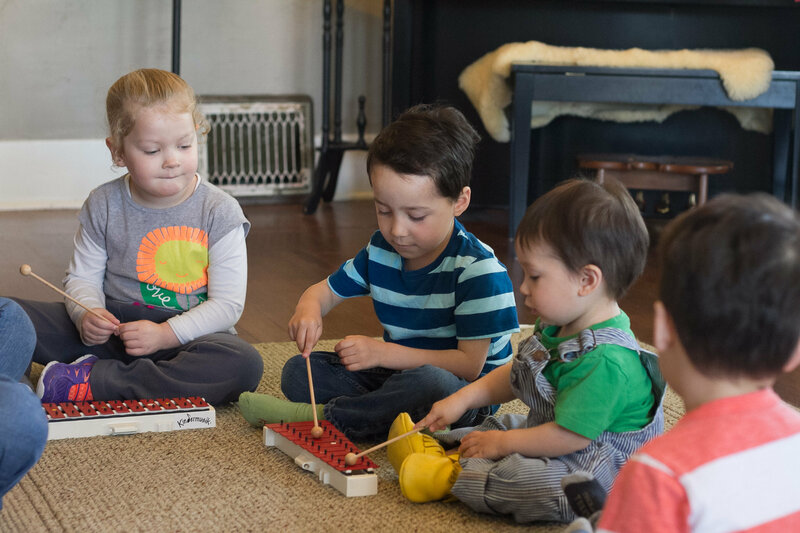 Group musicianship lessons are available for students in three different age groups ranging from ages 3 and up. 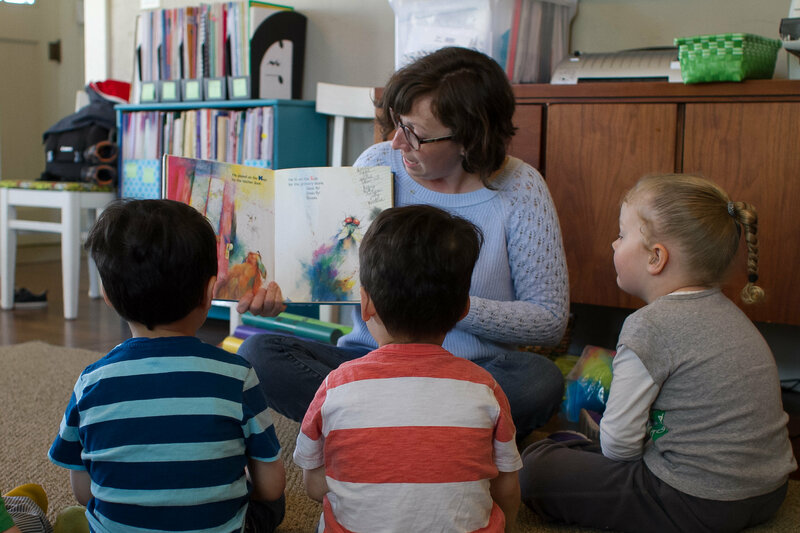 Lessons are based on Orff-Shulwerk teaching principles and focus on building skills in rhythm, note reading, children’s literature, music history, singing, and instrument playing. Students can choose to participate in group classes for enjoyment or as a preparation to learn a solo instrument such as piano, voice, or violin. Class availability will be determined by enrollment. Some age groups may be combined if there is not enough interest to fill a class section. Information about Group Voice Classes can be found HERE. 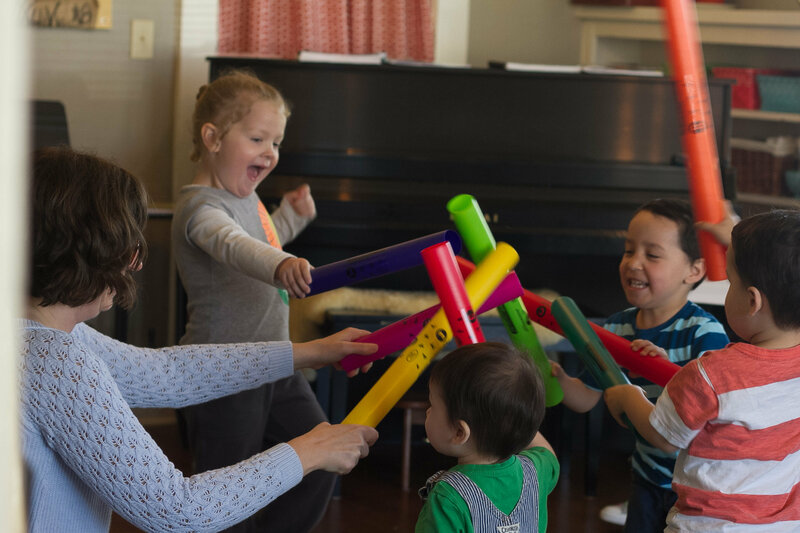 Musicians are developed early in these fun and engaging group classes designed for the whole family to join the band. Lessons are centered around the needs of our smallest musicians and created to help develop a sense of rhythm, pitch, and creativity. Wear comfy clothing and be ready to dance, laugh, play and LEARN! Using literature or a dramatic theme students will create a musical play involving song, dance, and instrument playing. Last group lesson will be a family centered performance demonstrating our hard work. Recorders, Boomwhackers, and Drums, OH MY!! In this 10 week block students will have a chance to play instruments both solo and in a group. We’ll create some beautiful arrangements of traditional folk songs to perform for our families at the last group lesson for the block. Students will learn basic theory and musicianship principles through instrument playing, games, and hands on experiences. Using the principles of Scottish Storyline students will go on a 10 week long adventure where they re-create their own music history based reality. Specific composers and/or time periods will be selected to help students begin their journey. The creative and inquisitive nature of the students will determine where the journey takes us!